As usually happens to artists who experiment with their sound through the years, there are fans who complain about missing the “old sound” of LP. Really, there is no “new” Linkin Park, only an evolved one. It is true that their music has more elements of pop than before, but Bennington pushes at the extremities of his vocal range as well as ever. Songwriter and keyboardist Mike Shinoda still flawlessly weaves the rap, vocals, and melodies together into coherent and meaningful songs. The drumbeats are more geared toward the pop audience, but DJ and sampler Joe Hahn still manages to add the usual touches of unique electronic sounds that set Linkin Park apart from other bands. The lyrical material is mostly dark, but does contain optimistic moments and is flexible to different interpretations. It’s hard to tell now which songs will become radio classics like “What I’ve Done” and “In the End” from previous albums, but the catchy tracks “Burn It Down” and “Lost in the Echo” are strong candidates. Some of the songs are so undeniably Linkin Park, the sounds so familiar, that listening to them feels akin to wrapping yourself with a blanket and sipping on your favorite wine. There are plenty of head-banging opportunities that allow listeners to tap into their own wildest, most aggressive emotions. In any case, there is incredible variety in Living Things. “Castle of Glass” boasts a thumping metal country beat, and “Victimized” features Bennington artfully screaming with his usual utter abandon, reaching deep into the visceral angst of the human soul and twisting at the gut. 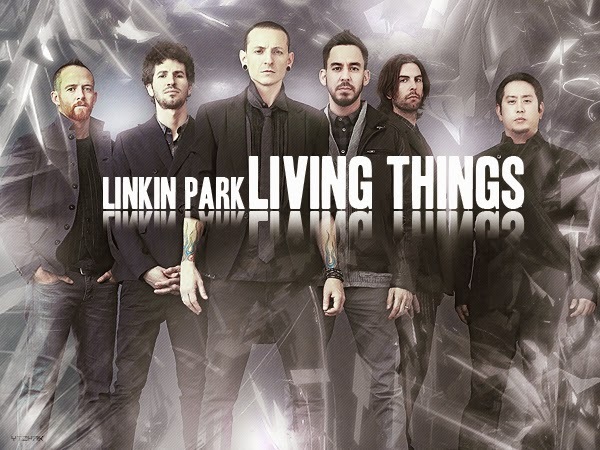 Add all the elements together, and Living Things becomes a solid album fit to join the legendary list of masterpieces that Linkin Park has already released. Linkin Park has been categorized as everything from “alternative rock” to “metal,” and their evolving style has confused many listeners, leaving die-hard fans at a loss on how to view them. But Linkin Park has always relished their artistic freedom, and fans would do well to appreciate, respect, and enjoy the music they have to offer.